Love is a connection that vibrates through our very being and echoes through eternity. True love cannot be erased, it’s permanently etched into our souls. 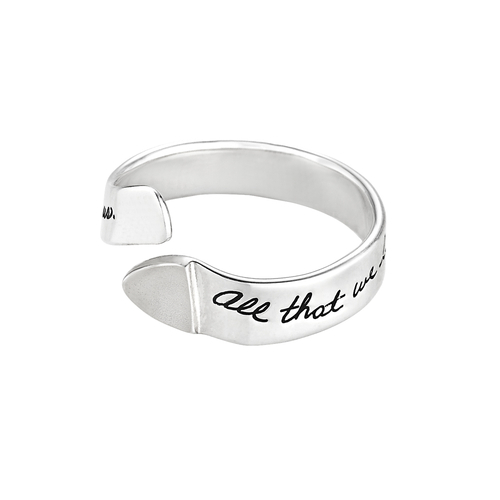 This hand-etched sterling silver ring is the perfect gift for someone who has become a part of you. 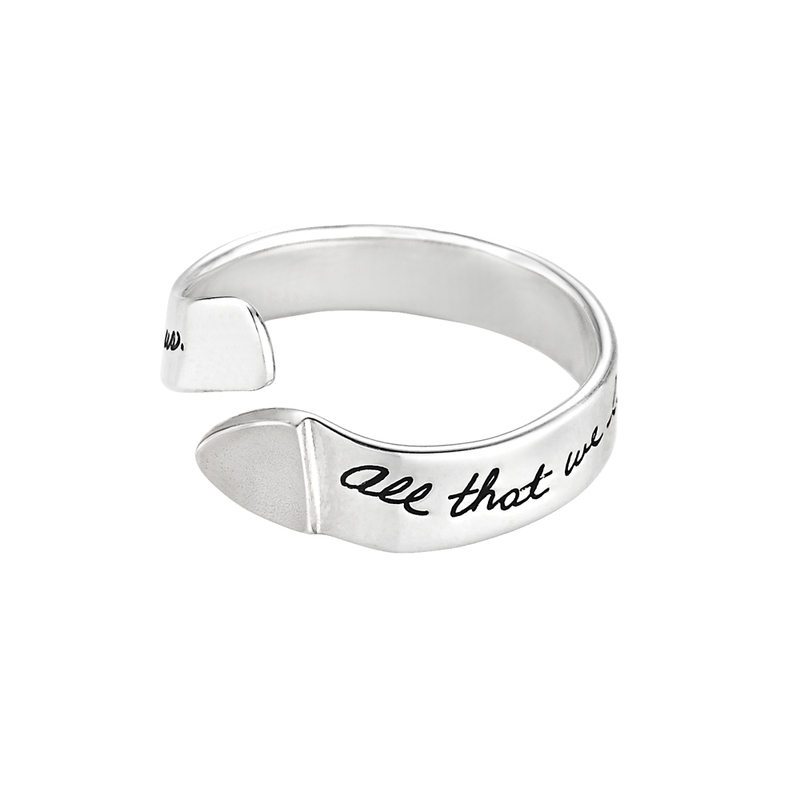 It also makes a beautiful memorial token to remind you of someone who meant the world to you. When c0-creator Jo Becker wears this piece, she remembers her dear mother whose presence is always with her. Deep, soul-level love can never be lost because it’s a spiritual connection that links two people.